"Do not judge your friend until you stand in his place.​"
Caring for persons suffering from dementia or any disability that renders them dependent upon another person's assistance is a daunting task, complicated by our lack of understanding of what that person is going through. In Their Shoes is a non-profit organization founded to increase understanding and empathy among the caregiver community so as to better serve our patients with compassion. Our services, which include The Virtual Dementia Tour®, are designed to afford the participant the opportunity of actually experiencing what it is like to feel the effects of dementia and be dependent on someone else for all one's daily needs. Reactions to the experience are profound and emphasize the importance of treating the patient through understanding his emotional and physical needs. We invite you to take advantage of our services. Whether you are a professional or a lay person, you have something to gain by feeling what it's like to walk "in their shoes." Understand behaviors to learn to deal with them through compassion. Find ways to minimize problematic situations. Understand your patient and reduce stressful scenarios. Feel what your patient is experiencing so you know how to care for him/her. Experience dementia to be able to communicate better with your patient. Help conduct the Virtual Dementia Tour® to guide participants through the maze of dementia and disability limitations. See a doctor taking the Virtual Dementia Tour and watch his reactions and those of his colleagues to the effect of the tour on them. Become a part of this magnificent gift to those who otherwise would sit depressed and detached. Please send your donations in Israel to: In their Shoes, Harav Toledano Street 12B, Netanya 4275512, Israel. 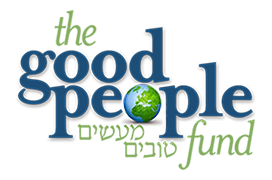 Tax deductible donations in the USA can be made via THE GOOD PEOPLE FUND. © All rights reserved 2017 In Their Shoes R.A.